What Is The Biggest Casino in Antigua and Barbuda? - Casino Answers! Casino Answers » Casino Trivia » What Is The Biggest Casino in Antigua and Barbuda? What Is The Biggest Casino in Antigua and Barbuda? Antigua and Barbuda, part of the Leeward Islands Archipelago, is one of the most beautiful places on Earth. Both of the main islands are crown jewels of the Caribbean, with clear blue sea surrounding some of the most majestic stretches of sand you will find anywhere on this planet, and the smaller surrounding islands are like untouched gems, ideal for a quiet retreat. The former British colony is a great place for a relaxing vacation. However, you do not have to simply relax on the hundreds of beaches, or explore the amazing wildlife on the islands to have a good time in Antigua and Barbuda. In fact, the nightlife on the islands is fantastic, and part of that nightlife is the ability to go and have a wager in a casino if you decide to. Casino gaming in Antigua is not as diverse as you might be led to believe. There are places that label themselves as casinos, such as the Royal Casino in the Royal Antigua Hotel, but it does not offer traditional table games, only slot machines, so it does not qualify as a true casino. In fact, a lot of the places with ‘casino’ in their name are purely slot machine and video poker rooms, with no table games in sight. This is due to some strict licensing laws, leaving only a couple of casinos to try and corner the marketplace. There is the Majestic Isle Casino, a new player in town based in Dickenson Bay, and there is the old-school King’s Casino in Heritage Quay, St John’s, both of them on island of Antigua. So if you are based in Barbuda or one of the smaller islands, and you want to go for a trip to the casino, it would be best to plan in advance as it is not as easy as hopping in a taxi! So, out of the two, which is the biggest casino in Antigua and Barbuda? Well, it is hard to say for certain, but King’s Casino seems to offer slightly more in slot machine variety and also table games. In fact, King’s Casino offers offer 300 slot machines (in comparison to its competitors offering of around 100), as well as an offering of around 15 table games, with the most popular being the casino staple of blackjack. 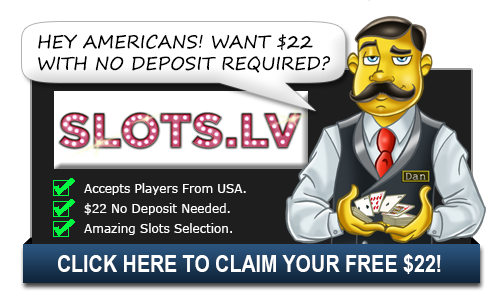 However, you are also able to play American roulette, as well as Caribbean Stud Poker. In fact, if you were not able to play Caribbean Stud Poker while holidaying in the Caribbean, you would be severely disappointed. You can also play some other variations of casino poker, such as 3-card Poker and Casino Hold ‘Em. The hours of operation are currently 10:00am until 02:00am, so you can gamble almost around the clock at King’s Casino when you are in Antigua. Of course, you would miss out on the beautiful sun and the fantastic beaches surrounding you, but sometimes you just want to kick back and enjoy a bit of fun in the casino instead of sweltering in the sun all day long. As well as the usual casino games, you can entertain yourself in King’s Casino’s lounge, where, depending on the night, there are promotions going on, or some entertainment along the lines of live music or karaoke. So even if it is your partner that is insisting on going to the casino and you have no interest in casino gaming, you will still be entertained. The one downside to King’s Casino is the styling of it. It is somewhat retro in its fittings, and the more discerning gamer may be put off by its look and feel, with outdated carpets, and a dull neon glow barely illuminating a dark room. It is fair to say that the Majestic isle Casino does look better, but it does not offer the same variety of games as King’s Casino, so if you can put the aesthetics to one side, King’s Casino does offer more in the way of entertainment. So King’s Casino is the biggest casino in Antigua and Barbuda for now, but there is room for an heir apparent, and if the investment is there, King’s Casino may not be the biggest casino in Antigua and Barbuda for much longer.